It's more than words can hold. It's good that we have a day set aside to celebrate our mothers, and thank them for everything that they do for us. 2015 Mother's Day, no just flowers like the world. Mother's day should not be just another day with a few flowers thrown in. It’s easy to send flowers, gift certificates and the like. It’s much harder to spend time preparing something special for her on her day. The best one gets a special surprise gift. Then, come to WonderFox and find your special 2015 Mother’s Day gift. To express our thanks to mothers everywhere, WonderFox Software hosts the “2015 Mother's Day Senior Version Giveaway”, which is a free WonderFox DVD Video Converter Senior Version giveaway for all who attend. With this multifunctional software, there will no longer be restrictions on watching DVD movies on iPhone, iPad, iPod, Samsung, Nokia, or any portable devices, to make moms enjoy their favorite DVD movies any time at any place. 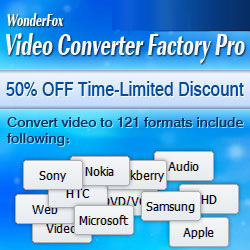 The way of participation is to visit the giveaway page https://www.videoconverterfactory.com/promotion.html and click the “Get It Now” button to get WonderFox DVD Video Converter free after reading the giveaway introduction. How Much Do You Know about WonderFox DVD Video Converter? 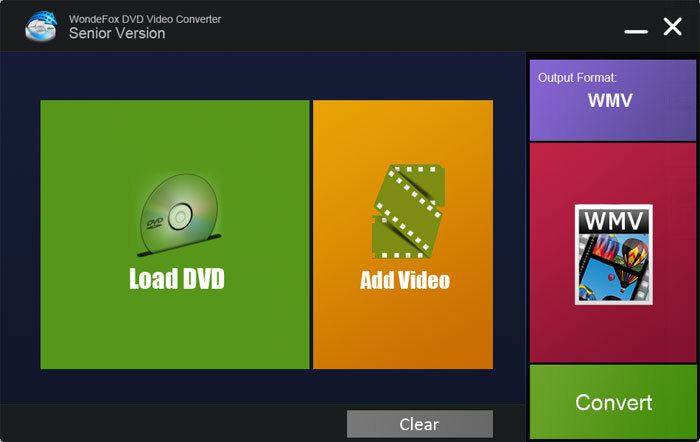 WonderFox DVD Video Converter is a versatile tool. It provides one-stop total solution to rip and backup any encrypted DVDs including DVD with CSS, region code, RCE, Sony ArccOS, UOPs, Disney X-project DRM (released by Metro-Goldwyn-Mayer (MGM), Paramount Pictures, Sony Pictures Entertainment, Inc., Warner Bros Pictures, Universal Pictures, UNITED ARTISTS, 20th Century Fox and The Walt Disney Company, etc); convert video to 200+ formats and devices like HD AVI, HD MP4, HD MOV, FLV, HD WMV, AVI, MP4, VOB, MKV, WMV, MPEG, iPhone 6 Plus, iPhone 6, iPad Air 2, iPad mini 3, The New iPad, iPad 4, iPod series, Apple TV, BlackBerry Cell Phones and PlayBook, Sumsung Galaxy series, TabS, Note, Nexus, HTC Flyer, Vivid, One, Sensation, EVO 4G, Desire, Nokia Lumia 1020, N9, N8, 5800, Sony cell phone and game player, Microsoft Surface, Google Nexus 7, XBox, Zune, etc; download online video; edit and play video; and make iPhone ringtone with excellent performance. "God could not be everywhere, and therefore he made mothers." Wish all mothers in the world have a happy, healthy and wonderful holiday!